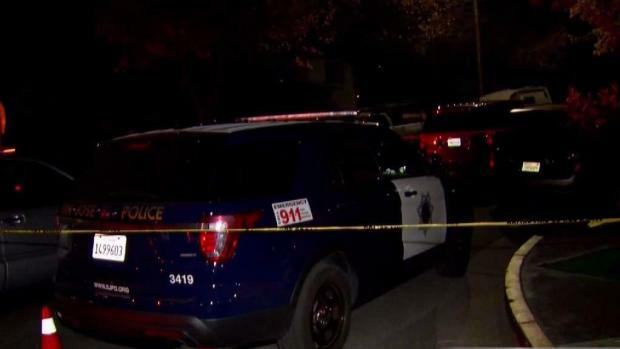 A roughly 15-hour-long standoff in San Jose came to a dramatic end early Thursday with armed officers taking a wanted felon into custody. Kris Sanchez reports. 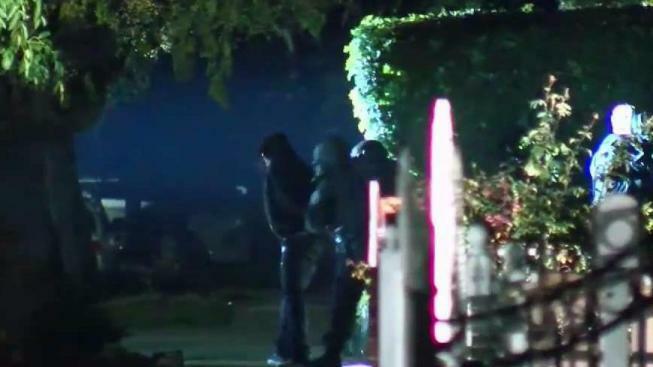 A roughly 15-hour-long standoff in San Jose came to a dramatic end early Thursday with armed officers taking a wanted felon into custody. The man was wanted for burglary and possible connections to other crimes, according to police. The search and standoff started around 12:45 p.m. Wednesday when a San Jose police officer attempted to make contact with a suspicious man in the area of Pocatello Court and Hunken Drive, police said. The suspect then fled to a home in the area of Hunken and Lewis Road, where officers set up a perimeter. A massive search ensued, and later in the evening officers believed they had the man surrounded inside a home, according to police. Officers launched a massive search for a wanted felon on foot Wednesday afternoon in San Jose, and later in the evening they believed they had him surrounded, according to police. Ian Cull reports. Late Wednesday night, police appeared to deploy flash-bangs as a diversion so they could get an elderly man out of the house. Paramedics arrived at the scene a short time later. But police did not say whether the man or anyone else was injured. The suspect, however, escaped through the rear of the house and was spotted jumping backyard fences, police said. Officers then surrounded him at Lewis and Durant Street, but at the time, it was not clear if he was inside another home or outdoors. "Whether or not he actually lives there, what his status is, we believe he's got some kind of connection to that address," San Jose police Lt. Mike King said. A SWAT team was brought in and was trying to negotiate with the suspect before the standoff came to a close around 3:45 a.m. Officers utilized non-lethal force to detain the man. Footage from NBC Bay Area's Sky Ranger showed dozens of police cars lining the streets of the neighborhood near Los Lagos Golf Course to set up a perimeter, and several streets in the area were shut down during the standoff. Resident Ivon Tovar lives inside the cordoned off area and had been waiting since 1 p.m. Wednesday to get home. "Everyone was kind of worried," she said. "We're like, 'Are we safe here? Should we go?' They just told us we can't be inside our house. "It's frustrating a bit," Tovar continued, "because we live in a calm neighborhood, and we don't really like seeing stuff like this because one, there's a lot of kids here. Two, it's not often that it happens."